August 21, 2018 in What's New // Deadbeat Customs Apparel, Printed Right In House! Chopper Kings create unique style handlebars for Choppers & Bobbers. If you are looking for something different on your next build or to add to your chopper you have to check out their selection. 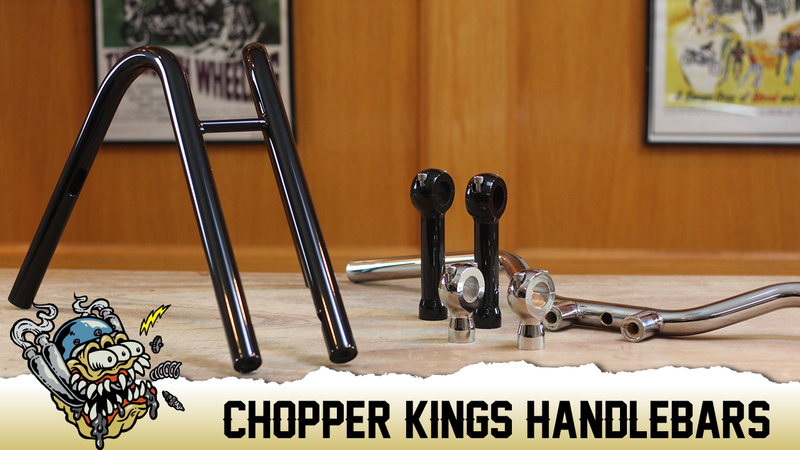 All of Chopper Kings handlebars are of the highest quality and are hand made in Italy. Deadbeat Customs Apparel, Printed Right In House! New Burly Brand Fairings are Now Available! At Deadbeat Customs we support those who pick up a wrench and customize bikes themselves. We offer parts for Choppers & Bobbers, Harley Davidson Sportsters, Dynas, Yamaha XS650’s and Café Racers.